1930. With illustrations by Mahlon Blaine. Flaubert was a French novelist of the realist school, best-known for his story of Madame Bovary. 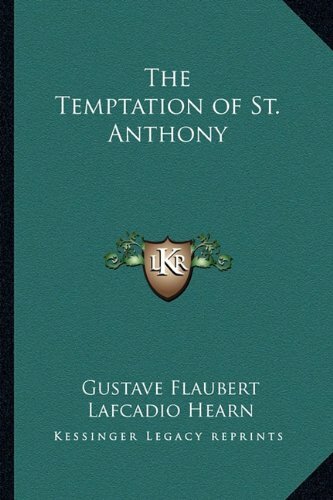 The Temptation of St. Anthony was based on the story of the 4th-century Christian anchorite, who lived in the Egyptian desert and experienced philosophical and physical temptations. Its fantastic mode and setting were inspired by a Brueghel painting. conviction. Other major works include Salammbo (1862), Sentimental Education (1869), and The Temptation of Saint Antony (1874). His long novel Bouvard et Pecuchet was unfinished at his death in 1880. After his death, Flaubert's fame and reputation grew steadily, strengthened by the publication of his unfinished novel in 1881 and the many volumes of his correspondence.